As a premier search engine optimization agency, Straight North understands how to improve your search engine rankings. We begin by determining the effectiveness of your current campaign through a quick SEO audit. 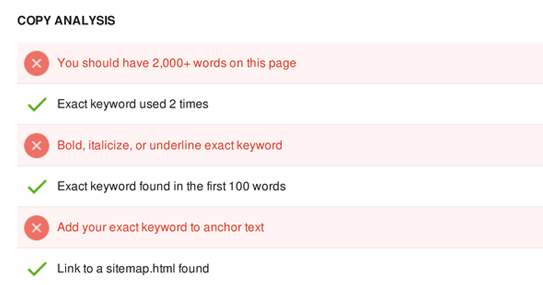 Our SEO audit analyzes a specified page for any targeted keyword or key phrase. Why do we examine only one page of your site at a time? Our audit tool is directly aligned with Google’s ranking algorithm, which ranks Web pages, not entire websites. It provides accurate results and useful tips for improving your organic search ranking. Are you interested in how you stack up against your competition? The audit form permits entering the URLs of two Web pages — yours and that of a competitor. 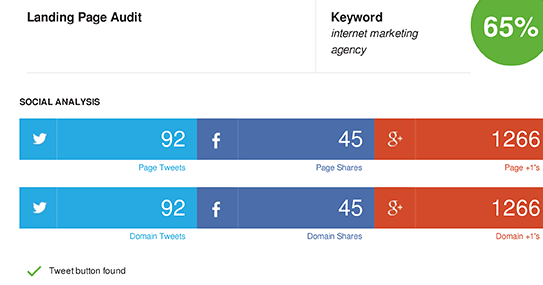 The result is a side-by-side analysis showing how both pages rank for each factor using the same keyword. 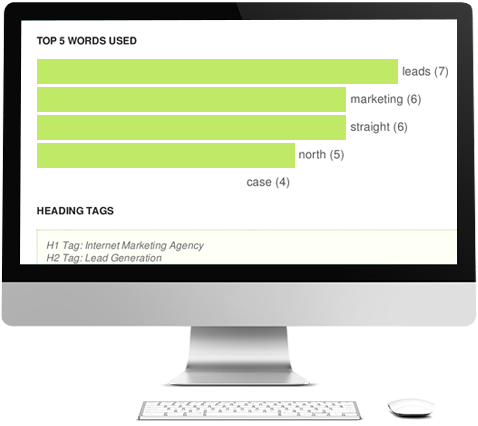 Analyzing keyword usage, copy, social media, mobile friendliness, page links and much more. The report concludes with a list of actionable tasks for optimizing your website to get more traffic from Google. Organic search engine optimization is complex and difficult to navigate on your own. While SEO is a solid Internet marketing investment, it pays to collaborate with a search engine optimization (SEO) consultant. Working with an experienced SEO company like Straight North is the key to generating leads and growing your business. We’ve been delivering positive results for our clients since 1997. You can interview many search engine optimization companies, but you won’t find one that provides a higher level of service than Straight North. 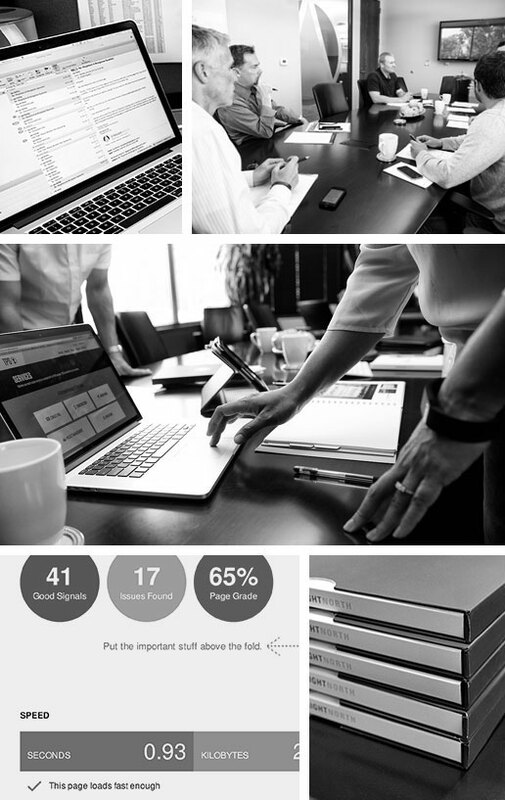 We strive to exceed your expectations with a comprehensive, customized campaign; complete transparency in your SEO services; and lead tracking and validation in real time. Our SEO campaigns are highly structured, carefully coordinated and energetically implemented. We boast dedicated campaign managers, SEO specialists, copywriters, content marketers, Web designers and developers — all focused on successfully driving organic traffic that converts into qualified sales leads and increased revenue. To learn more about our search engine optimization services and SEO pricing, or to discuss your campaign, call us now at 855-883-0011 or request a quote online.